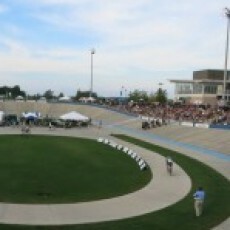 The 250m world-class Giordana Velodrome is part of the Rock Hill Outdoor Center at Riverwalk. The facility opened in March 2012 and is endorsed by USA Cycling. It hosts events, training, races, and youth programs for kids ages 5-15.